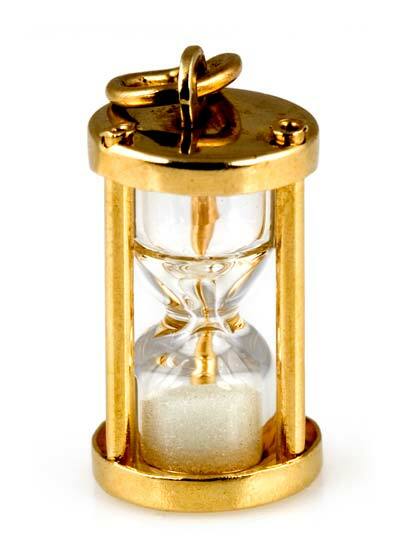 This working hourglass charm is virtually identical to the one in My Mother's Charms! (Maxine's Bracelet, page 80.) The sand is sealed inside a glass capsule. Turn it upside down and the sand runs to the the other side, just like a real hourglass. Marked 14K. 16.4mm (0.65in.) tall excluding the bail. Weight 2.1 grams.